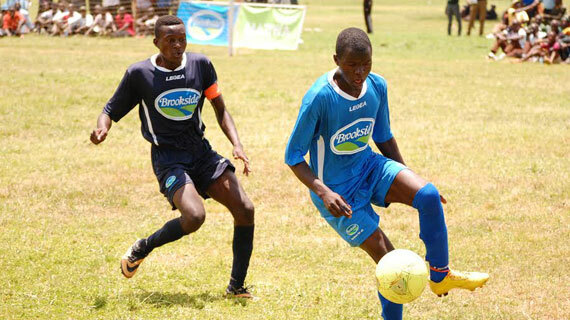 Bukembe Boys secondary school on Thursday extended their fine form at the ongoing East Africa Secondary School Games Championships in Eldoret as they edged Uganda's Masaka in the pulsating quarter finals. Wycliffe Wanyonyi's goal just a minute after quarter an hour of play ensured the Bungoma boys sailed through to the semi finals of the championships to be played on Friday . Bukembe -4th place finishers at the national school games in Kisumu- now hold high hopes of their maiden finals in the tournament where they are making their debut. St. Mary's Kitende were too good for Passenga who they edged out in the other quarter finals with a lone goal win . In girls Volleyball, Soweto beat Lugulu Girls 3-2 (25-27, 25-20, 23-25, 23-25, 2-19.) to qualify for the finals while Kosirai defeated AGS of Rwanda 3-0 25-18, 25-10,25-15 to sail through to the finals.